***Bangle not included. 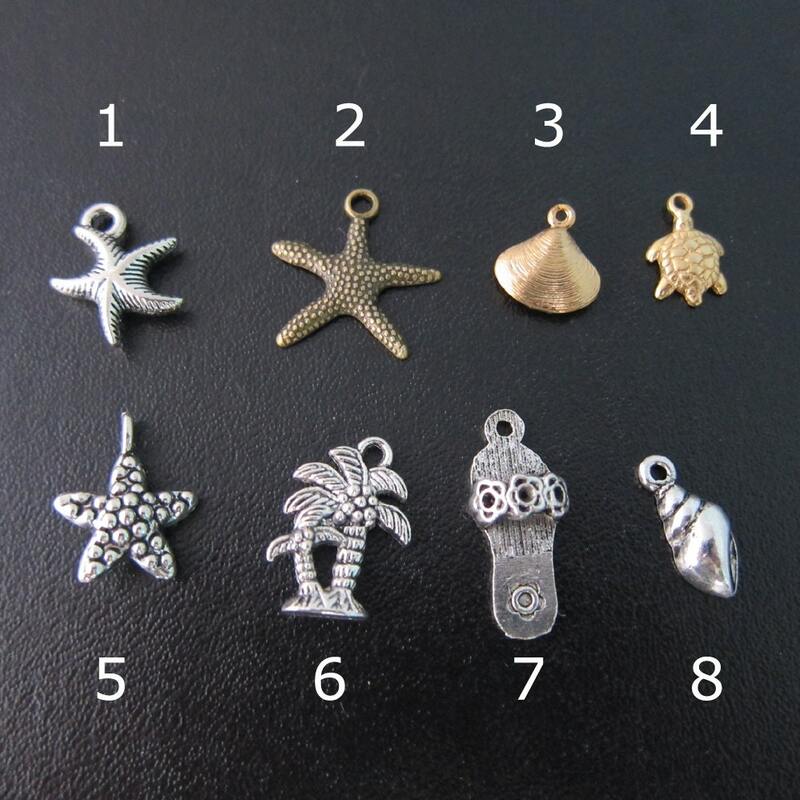 Add these little beach charms to any bangle you order from my shop. Charms can be made to jingle around freely on the band of your bangle, or I can add a loop to the bangle band to make the charm stationary; either at the side of the bangle, or at the back of the bangle to balance the weight of the main bangle charm. 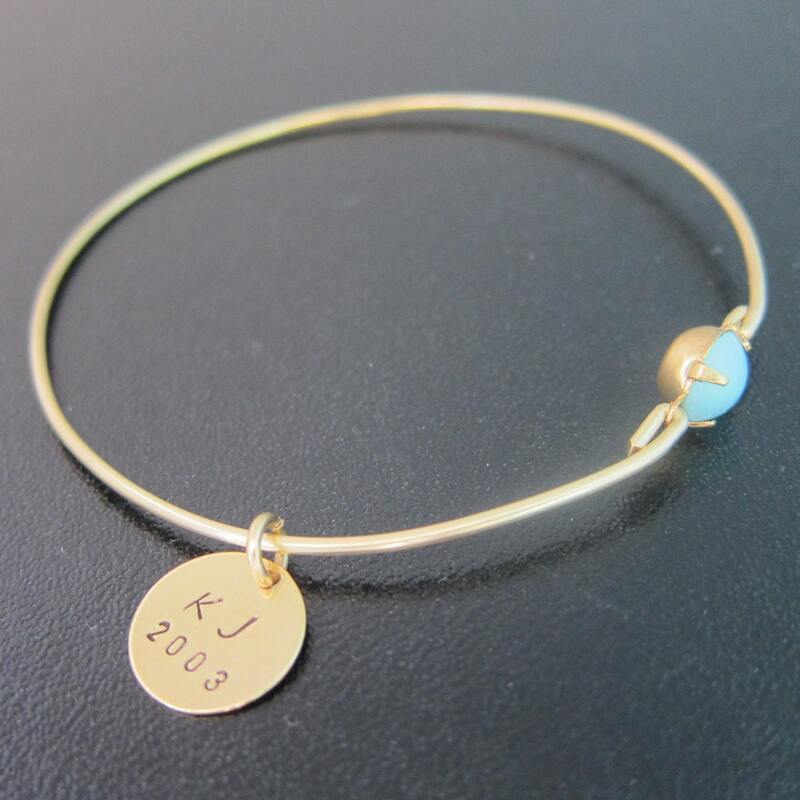 With the stationary option the charm won't slide around the bangle. 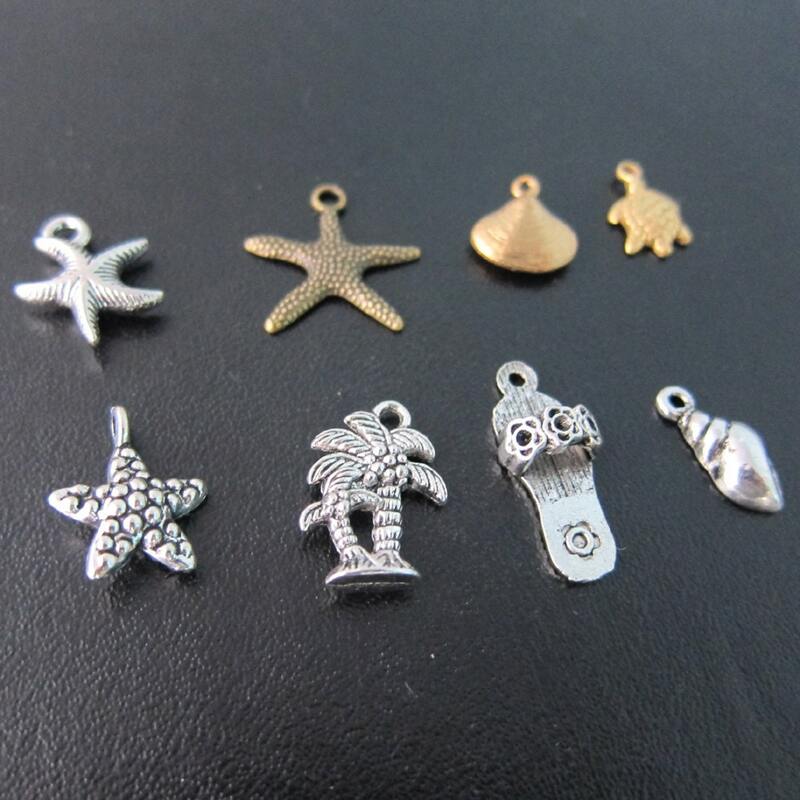 These beach charm dangles add a very personal touch to any bangle your order from my shop. Add this item to your cart, select your charm from the drop down menu and let me know in the notes to seller which bangle to add it to from your order. 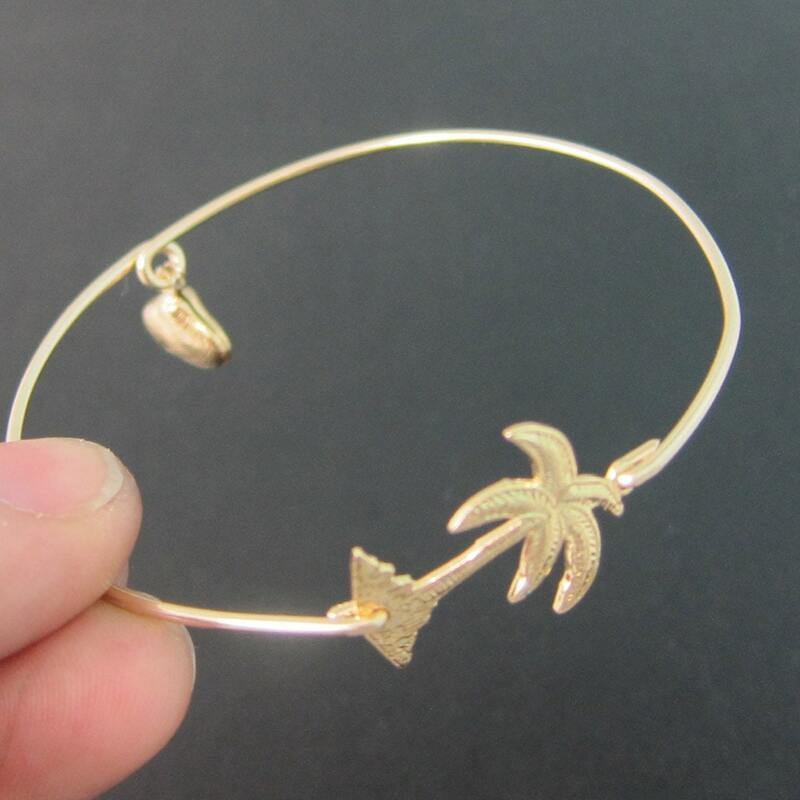 Please let me know if you would like the charm dangle as a STATIONARY BALANCING CHARM attached to a loop on the band as seen in the 4th picture with the palm tree bangle, or if you want the charm FREE MOVING so it can slide around the band as seen in the last picture. If no selection is made, I will send it free moving. 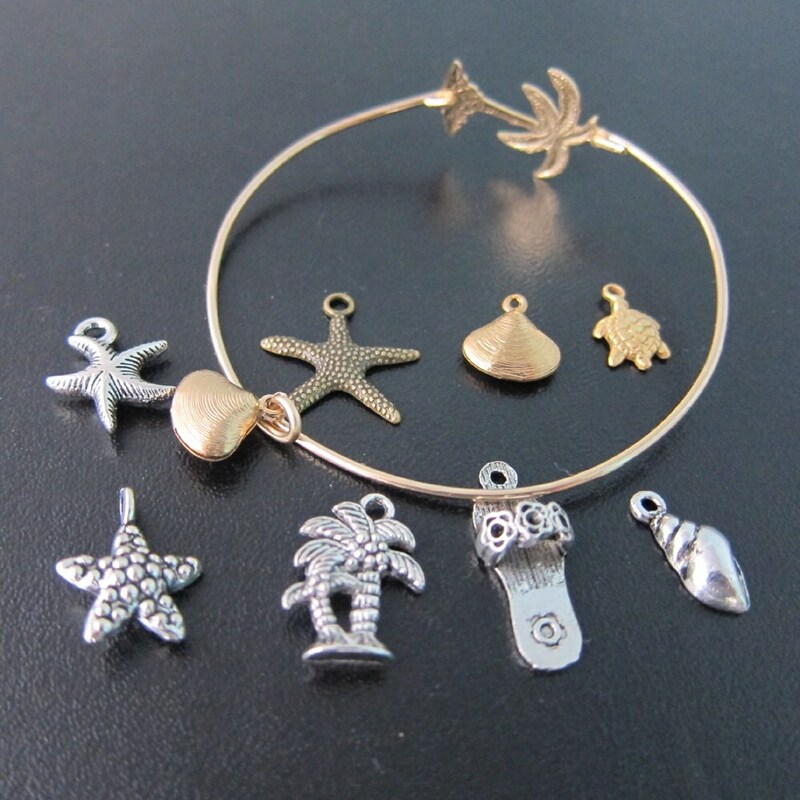 Add as many charms to your cart as you need to personalize your bangle bracelets. Created and hand crafted with great care and love for you and yours. All of my items are special handmade creations that are original Frosted Willow designs.